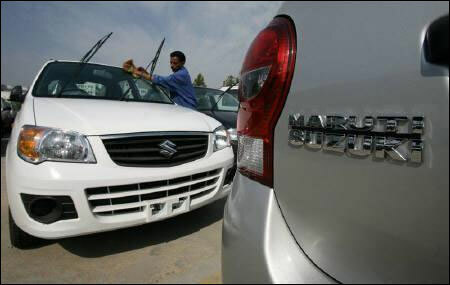 While Maruti Suzuki India has set the ball rolling on its new project at Hansalpur in Gujarat, the company's vendors are yet to approach the state government for land. A senior state government official informed that no vendor has yet approached the state government for land near the Maruti Suzuki plant site at Hansalpur. "Once, the work on the main plant starts and there is some work on ground, we expect suppliers to come asking for land," he clarified. Maruti was allotted around 640 acres of land at Hansalpur which lies nestled between Mehsana district and the Sanand-Viramgam area, and is around 55-60 km from the industrial hub Sanand which houses the Tata Motors Nano plant and the upcoming Ford India plant. The company asked for and was eventually allotted a second land parcel of around 300 acres about 15-20 km from the main site. The second site is expected to house a vendor park. Gujarat chief minister Narendra Modi had visited Suzuki Motor Corporation chief Osamu Suzuki in Hamamatsu in Japan in July this year. The investment meet organised by Modi in Hamamatsu was attended by 430 representatives of the automobile industry. Hamamatsu is an auto hub. R C Bhargava, chairman, Maruti Suzuki India Ltd had said in August when Osamu Suzuki visited Narendra Modi in Gujarat that auto ancillary units of Hamamatsu have shown great interest in Gujarat. "The vendors would seek the government's help in terms of allotment of land, infrastructure, etc," Bhargava had said then. Meanwhile, MSIL has put its Hansalpur plans on fast track. It has recently taken possession of the land parcels, a state government official informed and is in talks with the Gujarat Industrial Development Corporation (GIDC) for water supply. According to industry sources, the company is likely to consider putting up a diesel vehicles or engines plant at Hansalpur, however, the company could not be reached for a comment on the same.